We’re preparing for #NationalNutritionMonth in North America this March, but any month can be a great time to enjoy the season’s wholesome offerings and experiment with new flavours. When it comes to eating healthfully, you don’t have to sacrifice taste and go bland. Mustard gives you more of what you want and less of what you don’t. 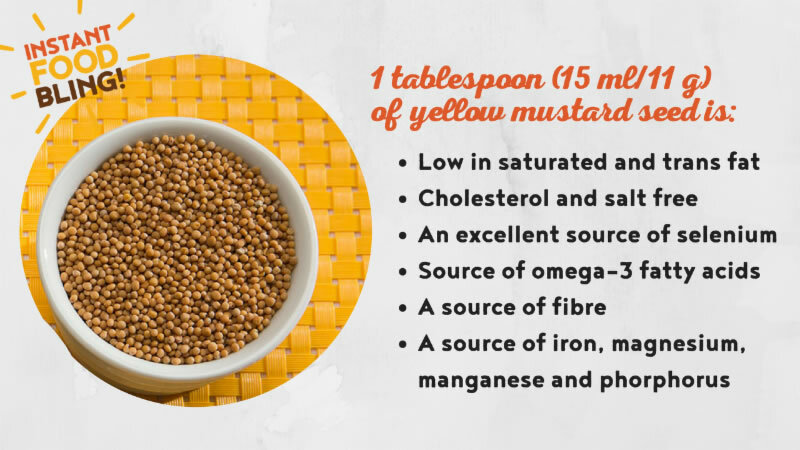 Plus with powder, seed or the selection of prepared mustards on the market, your options are almost endless; and you can even make your own mustard to satisfy your taste buds! Many people could do with more vegetables in their life, even just to add more variety. As well as fibre and nutrients, they also add some colour to these dull wintery days. However, more veggies doesn’t have to mean more salads or raw crudités; although we do have lots of ways to enjoy those too (Everyone’s Favourite Honey Dill Mustard Dip anyone?). We recommend roasting them or including them in soups and stews as a great way to enjoy seasonal varieties. It’s also a good idea to aim for half your plate to be fruit or veggies for an immune boost to help fend off flus and colds this time of year. To get more orange coloured veggies, turn to sweet potatoes, pumpkin, orange coloured squash and carrots. Your immune system will thank you for the potassium and carotenoids, such as beta carotene. February is also #NationalSweetPotatoMonth, so it’s a great time to try our Spiced Sweet Potato Wedges with Buttermilk Dijon Dip. Seeking more colour in your diet doesn’t mean you have to skip the white veggies (onions, potatoes, parsnips, mushrooms) as they have antioxidant properties. 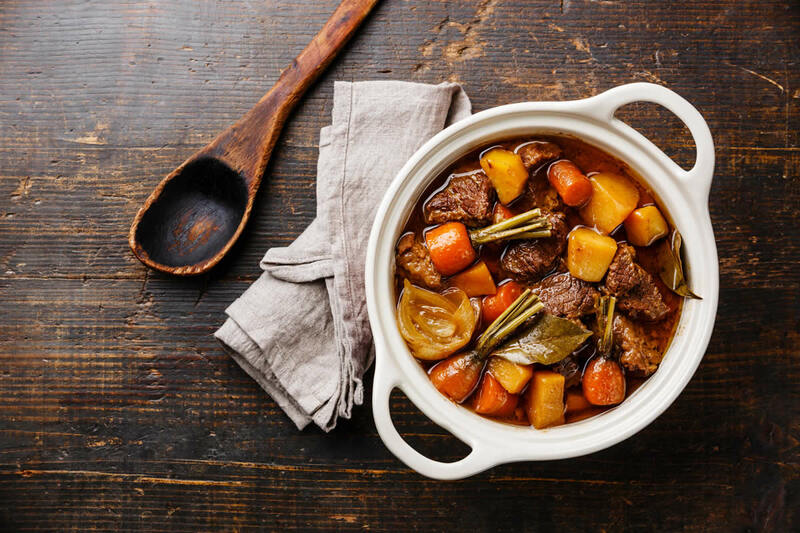 So dig in to enjoy the popular Mustard Herb Beef Stew, which can even be customized to include your favourite vegetables. For more green on your plate, mustard pairs well with Brussels sprouts, peas, broccoli, avocado, kale, and of course asparagus. Cruciferous vegetables actually belong to the mustard family of plants. Greens contain lutein, chlorophyll, vitamin K, folic acid and potassium and can help support healthy vision and protect cells from damage. 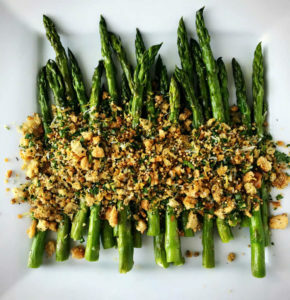 These Mustard Roasted Asparagus with Breadcrumbs and Herbs make a great side dish for your chicken or fish. There are many ways to eat a rainbow of produce and mustard can help make it even more enjoyable. 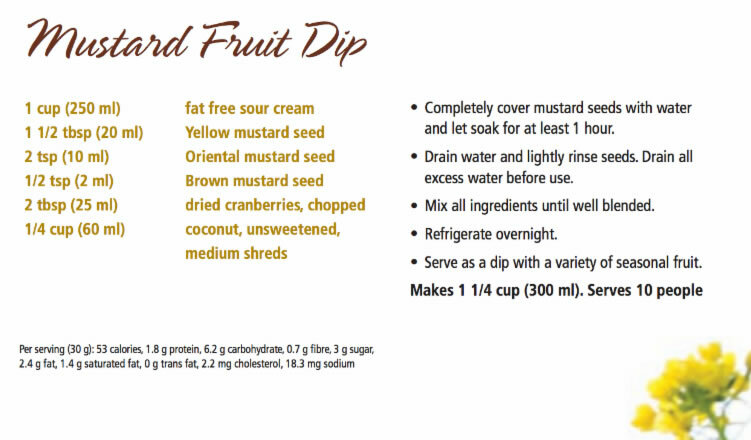 Fruit often seems like an easier sell, so if that’s what you’re interested in but still want a delicious change, we will direct you to a dip to keep things interesting and enjoy with your favourite seasonal choices such as apples and pears. 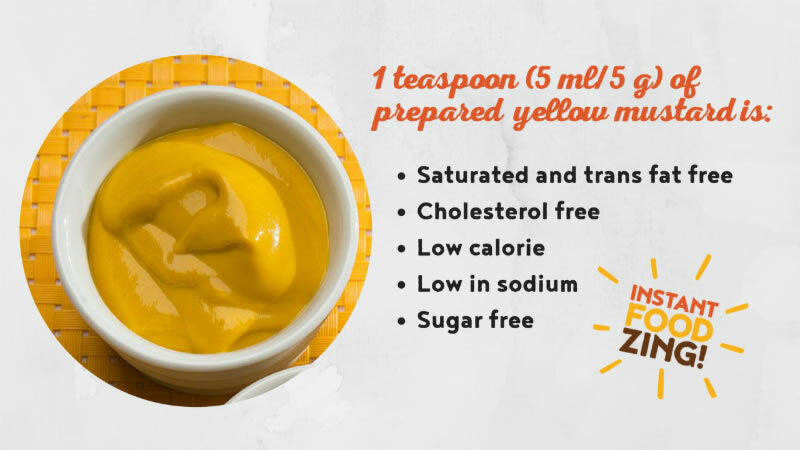 We’d love to hear how you get more colour on your plate and #SpreadTheMustard.